Learning Outcomes: Evidence is suggesting that the flipped classroom approach can improve learning outcomes in high enrollment courses like foundation courses. This might allow us to rethink the viability of larger classes in some situations. Streamlining Course Development: The Gates Foundation is supporting a study at the University of Maryland involving recombining content available in MOOCS for use in campus courses. The notion that we must build our courses from scratch is being tested. Residential Learning: Technology-enhanced learning can complement residential learning if used to free faculty for other important activities. A focus on achieving learning outcomes using the “best mix” of online and face-to-face interaction could create an immersive residential learning experience. Adaptive Learning Models: The Gates Foundation is supporting the use of adaptive learning models in high enrollment general education and developmental education courses. Transformation of Teaching and Learning: Transformation takes place when individual course-level enhancements transition to collective change. Access: We are now reaching audiences that were previously excluded from higher education. MOOCs were sited as well as the new open source mooc.org (a collaboration between Google and edX.org). Simon Initiative: Links cognitive models of learning with computation tools to create focus on both the learner and measurably improving learning outcomes (click here). 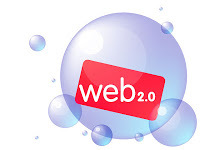 This is a compilation of links to Web 2.0 tools and apps. A special thank you to Anthony Basham at Berea College for assistance compiling this. Another excellent presentation from Sir Ken Robinson as he discusses the tug of war between standardization and the need to develop creative/divergent thinkers in our education system. Sir Ken Robinson is one of my favorite speakers. This presentation challenges our current modes of education in an entertaining way. Interesting video that challenges our perceptions of higher education. This video is about 4 years old but outlines the fundamental argument for transforming the way we teach and learn in higher education. This transition is still being fueled today by younger faculty that have grown up in a “digital world”.